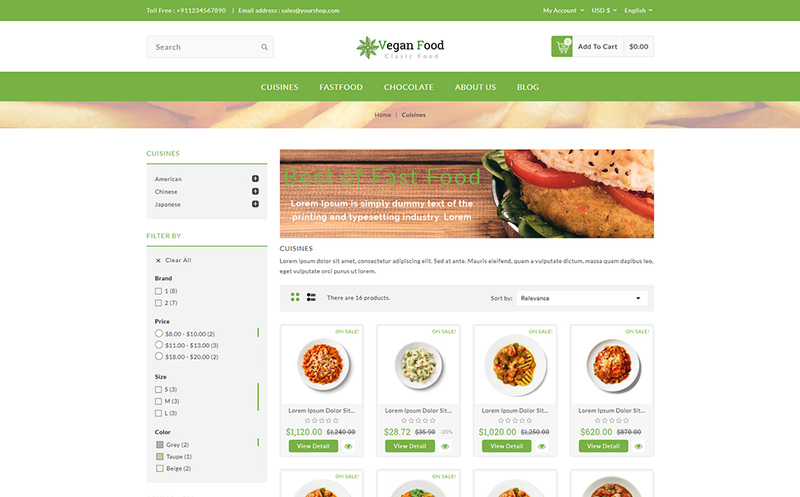 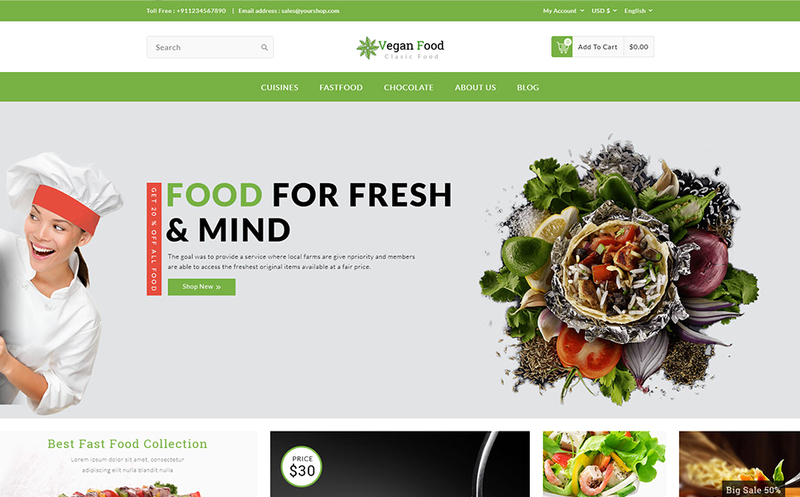 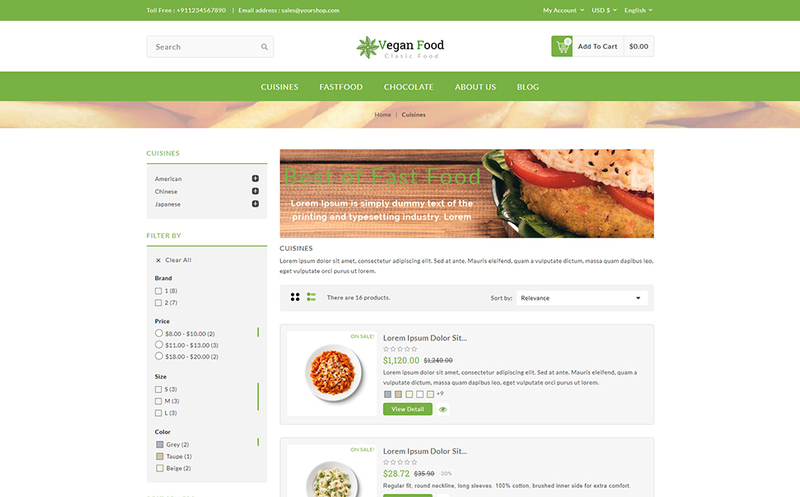 ﻿Vegan Food online store website is best compatible with businesses who would like to sell snacks, food items or groceries online. 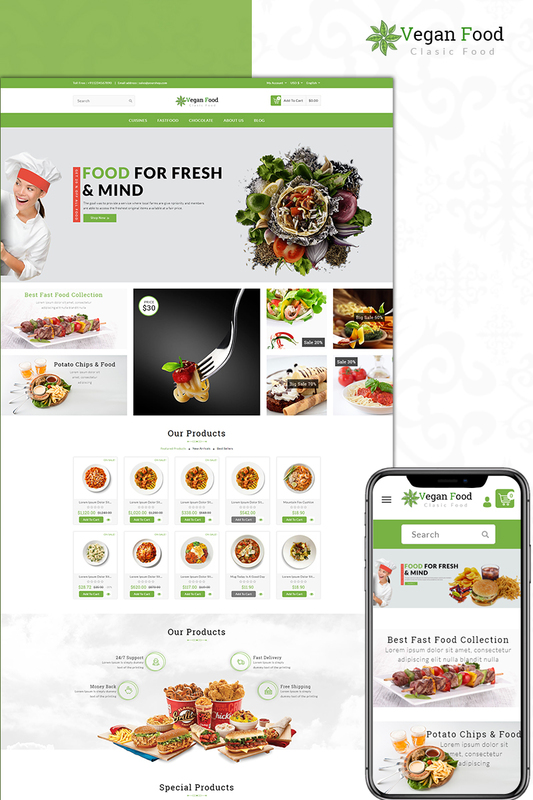 This eCommerce theme can be used by restaurants to display their menu and food delivery options. 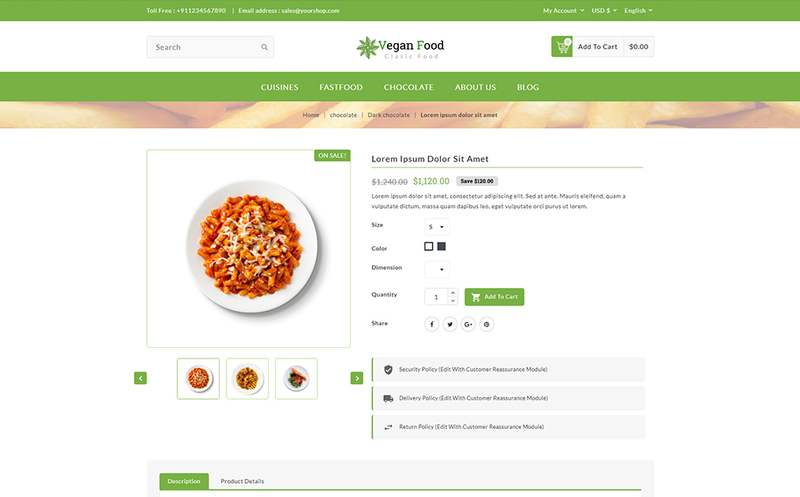 It can be used by clients to run an online grocery website or by FMCG companies to sell their packaged food online. 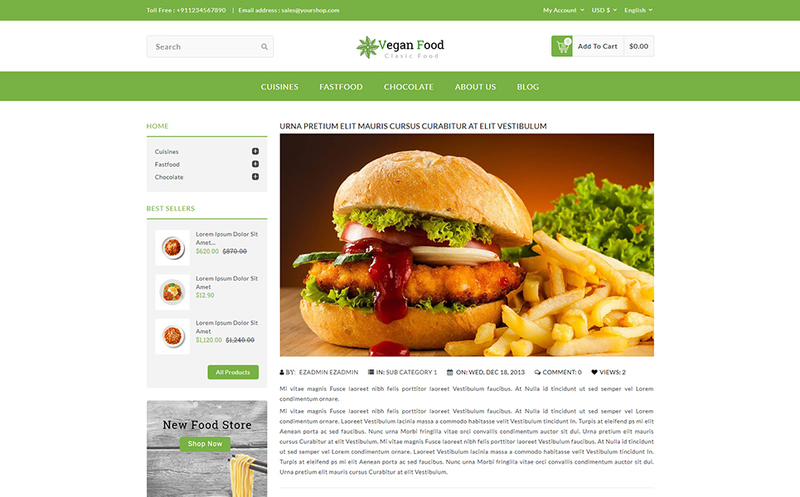 However, its design can be used with other scenarios as well.